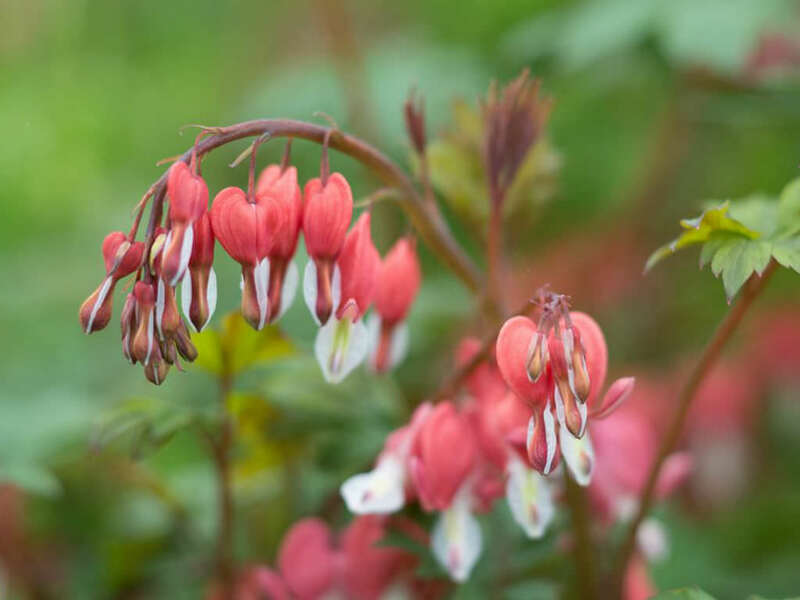 Lamprocapnos spectabilis ‘Valentine’ is a clump-forming, herbaceous perennial, up to 2.5 feet (0.7 m) tall and 2 feet (60 cm) wide. 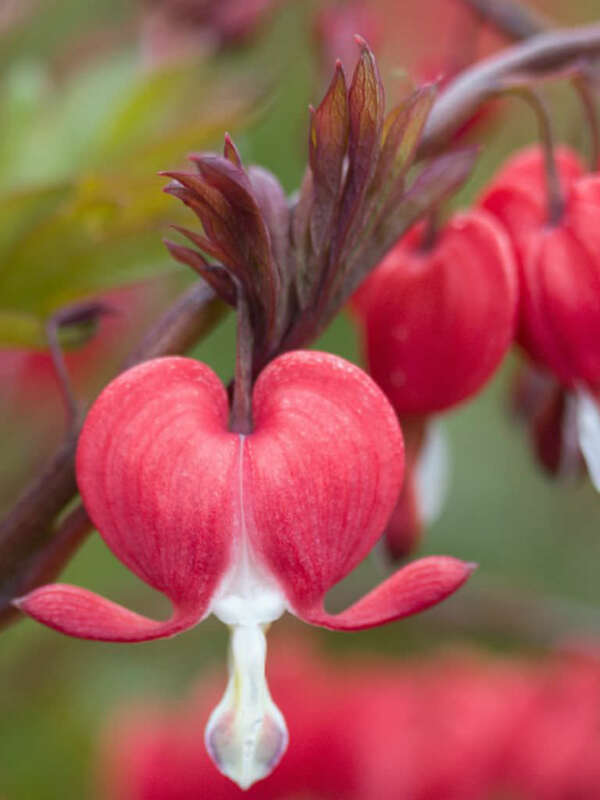 It bears red, arching stems dripping with heart-shaped, light red and white flowers. Deeply cut foliage emerges red but changes to green by early summer. 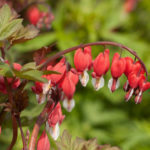 In a moist and cool climate, Bleeding Heart will grow in full sun, but in warmer and drier climates it requires some shade. 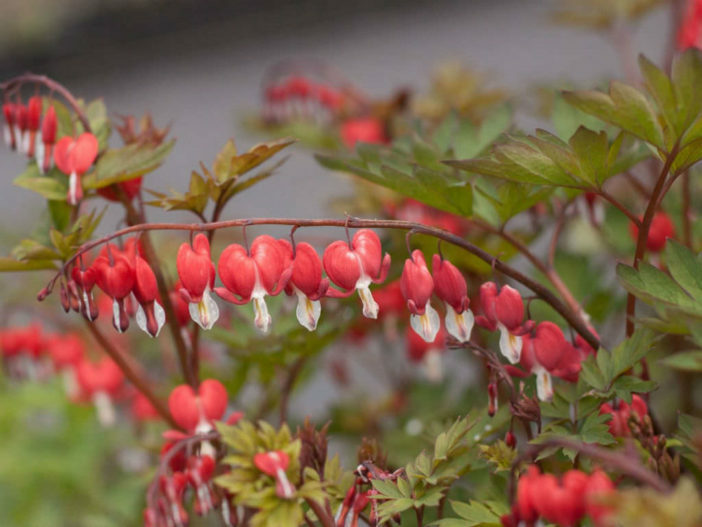 Keep plants well watered throughout the summer, especially in warmer weather. Even then, they may be ephemeral and disappear until the fall or next spring. 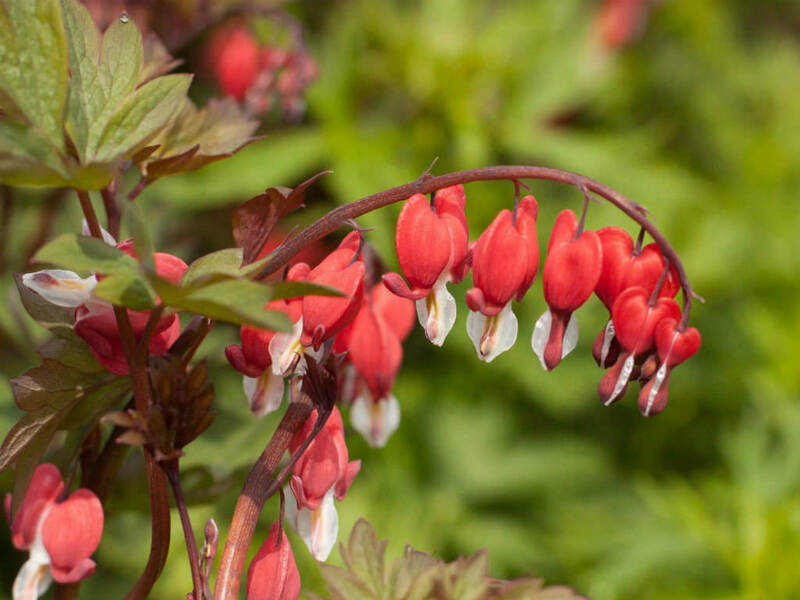 If you’ve recently planted your Bleeding Heart, it would be wise to mark the spot, so you don’t accidentally dig in the area while your Bleeding Heart is dormant. 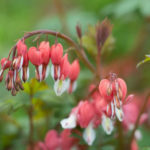 It prefer a rich, moist soil, but are not particular about soil pH. 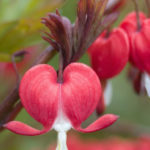 Bleeding Heart is not a heavy feeder, so when to fertilize depends on the quality of your soil. If you have rich, organic soil that is amended every year, you won’t have to feed at all.